The deputy chief executive of the Isle of Wight Council has lost his job over concerns about how a road building contract was awarded. Undercliff Drive was badly damaged in a landslide and John Lawson's dismissal follows allegations of serious failings in the awarding of the repair contract. Two council directors have already resigned, another one has been sacked and two officers remain suspended. The sacking follows a disciplinary hearing in September. The council said an independent report found "serious failings by Mr Lawson in relation to the Undercliff issue were substantiated and well founded" and recommended that he should be dismissed. Mr Lawson did tender his resignation but the disciplinary committee did not accept it and dismissed him instead. The council said in a statement: "The committee felt that the seriousness of Mr Lawson's failings meant that resignation was not an appropriate outcome." 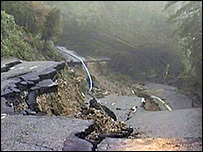 Undercliff Drive, which runs from Ventnor to Niton, was badly damaged during a landslip in 2001. The council appointed High-Point Rendel, which completed remedial work on the road. But the £13m contract was never put out for competitive tender, as is required by law. The council's director of finance and director of regeneration and development have both resigned over the issue, while the head of engineering services was sacked. Another officer was given written warning, but kept his job and two other junior officers are still awaiting disciplinary hearings. All seven were suspended from duty in February following an independent report by a senior officer of Southampton City Council into the awarding of the contract. 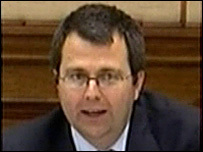 The cost of the inquiry is estimated at nearly £1m.